chooses Access because most of you are familiar with it and if not than it is very easy to learn. 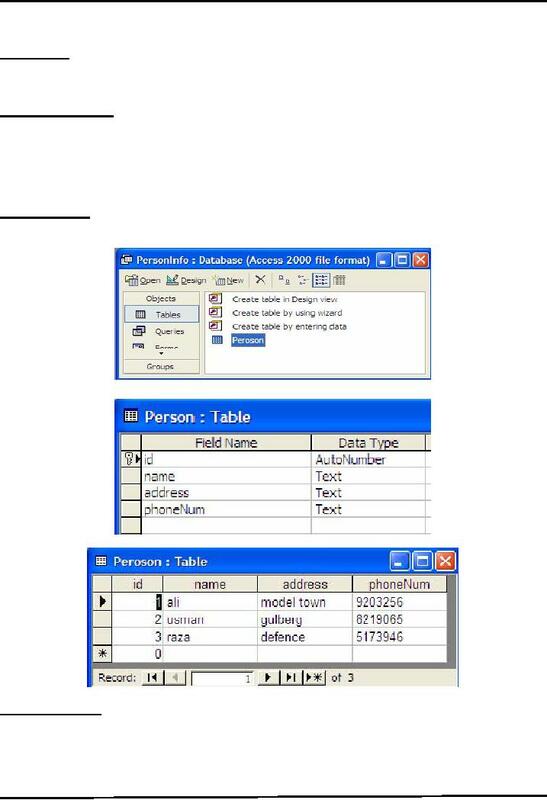 schema of the table is shown in the picture. Add the following records into Person table as shown below. through which your system recognizes the underlying data source. 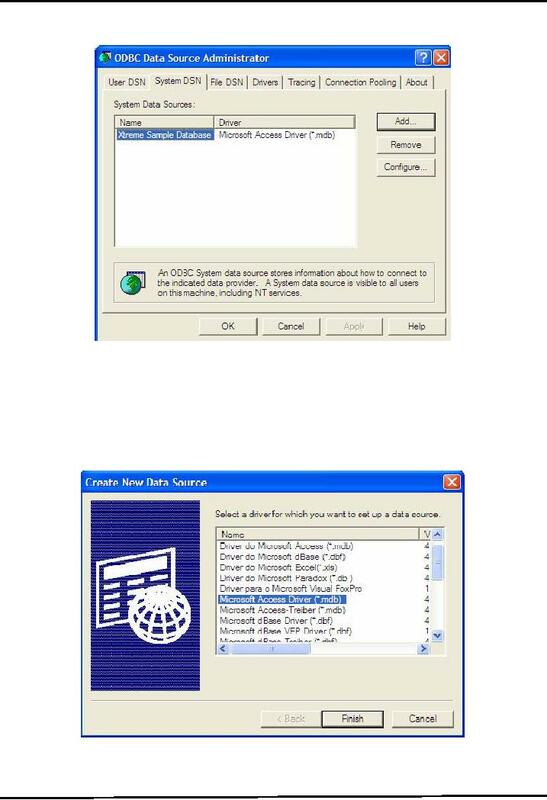 Select Start Settings Control Panel Administrative Tools Data Sources (ODBC). window and press Finish button as shown in diagram. database .mdb file you have created in the first step) Press Ok button. There are eight (8) basic steps that must be followed in order to successfully communicate with a database. Let's take a detail overview of all these one by one. Need to load suitable driver for underlying database. Different drivers & types for different databases are available. For MS Access, load following driver available with j2se. For Oracle, load the following driver. You have to download it explicitly. 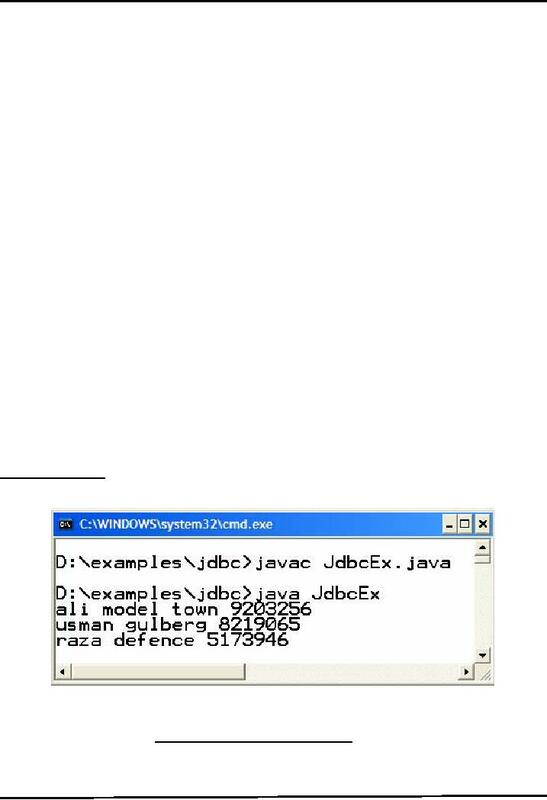 JDBC-ODBC driver requires a DSN which we have created earlier and named it personDSN. 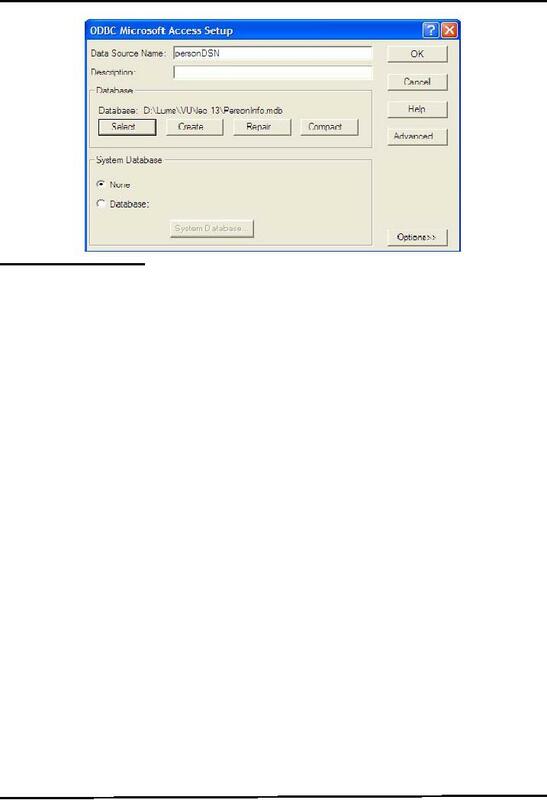 Use DriverManagerto get the connection object. A Statement object is obtained from a Connection object. Once you have a statement, you can use it for various kinds of SQL queries. The next step is to pass the SQL statements & to execute them. Used for SQL SELECT queries. First row has index 1, not 0.
query on Person table, and then process the query results. above example, only printing the name of the exception raised) exception inside catch block. and we must need to handle these exceptions.